EcoLincNZ has turned four. It just seems like yesterday that we discussed the use of blogs in our weekly ecology and evolution discussion group and decided that we should give it a go. It's been 130 posts since the first one on the different meanings of 'Gondwanan' and we have covered a lot of areas, highlighting the incredible range of research being done by Lincoln University Ecology staff and students. Over this time most of the blogs have involved research on particular species. Finding blogs on specific species is a little difficult as our keywords are more for concepts than species. So for your benefit I have put together a list of which blogs are associated with particular species (with links to the blog entries!). Possums, penguins, butterflies & moths and spiders have the most entries. Take a look at your favourite species. Don't thank me all at once! Wordles seem to be a great way to get a visual idea of the concepts in written work. Here, for your viewing pleasure, is the wordle for the first 129 blogs here at EcoLincNZ. The size of each world is equivalent to the frequency of the use of that word in the blogs. 'Species', that essential unit of ecology and evolution, is the winer! It looks like a typical sentence would be: "A Lincoln University study has found that New Zealand native bird and plant species have different populations on islands." Which is probably correct! This blog post was written by postgraduate student Hamish Patrick as part of the course, Research Methods in Ecology (Ecol608). Hamish revisits a Lincoln University study on New Zealand moth evolution published in 1999 and assesses the progress made since then. Hepialidae commonly known as ghost moths are a family of moths distributed throughout the world. There are 27 species of ghost moth present in New Zealand all of which are endemic. These include New Zealand’s largest moth: the puriri moth (Aenetus virescens), several pasture pests in the genus Wiseana as well some species with flightless females that use pheromones to attract males. Click here to learn more about our unique ghost moth fauna. The first DNA analysis of the New Zealand ghost moths was completed by Barbara Brown, Rowan M. Emberson and Adrian M. Paterson of Lincoln University in 1999 and has changed the way we think about the New Zealand ghost moth fauna. For this project ghost moths were collected using light traps before two mitochondrial genes: COI (commonly known as the DNA barcoding region) and II were sequenced. The resulting phylogenetic tree was very similar to previously constructed trees based on morphology and allozymes (a kind of enzymes). However, there were a few differences between the two, particularly in the ‘Oxycanus’ lineage (which contains 13 New Zealand species). The main differences were in the genus Wiseana, where additional haplotypes (distinct DNA sequences) were identified for three species. Morphological features could not be found to support all the Wiseana haplotypes highlighting the difficulty in identifying the species in this economically significant genus. This may explain why the feeding behavior and other traits can vary in what was previously thought to be one species based on morphology, which is very important information for the control of these pest species. The New Zealand ‘Oxycanus’ came out as the sister group to the Australian ‘Oxycanus’ which were included in this study; and an estimate on time divergence between the Australian and New Zealand members of this lineage revealed that the New Zealand species had split from their Australian relatives around 3-4 million years ago (MYA). This indicates that they dispersed to New Zealand rather than remaining here since the breakup of Gondwana over 80 MYA. The evolution of the species within Wiseana was found to have occurred around 1-1.5 MYA coinciding with the uplifting of the Southern Alps and other Ranges that are thought to have created new sub alpine and tussock grassland habitats for these species. Although the idea of moths making their way from Australia to New Zealand may sound odd, there are in fact a number of Australian moth and butterfly species that are regularly blown to New Zealand from Australia including the blue moon butterfly. Barbara Brown and colleagues’ paper has been cited 20 times since publication according to the web of knowledge including in a number of similar studies on invertebrate phylogeny and taxonomy such as spiders and butterflies. 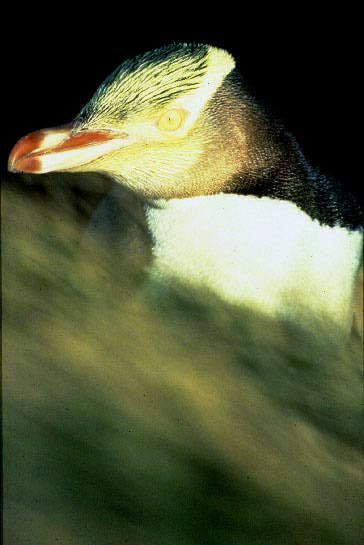 It has been cited in a number of papers on biogeography including a large study of the origin of the New Zealand terrestrial fauna where it was used along with many other case studied to disprove the once popular Moa’s Ark theory which maintained that most of New Zealand’s terrestrial fauna had been present in New Zealand since the breakup of Gondwana. The paper has also been cited in two additional papers published by the same three authors. In one of these, morphological characters were overlaid onto the molecular phylogeny created from this research resulting in the origin and history of five morphological characters being more fully understood. In the second paper published in the same year, a nuclear gene was sequenced for the same moths and was used along with the morphological and molecular phylogeny from the original paper to find additional support for three of the Wiseana haplotypes that had been identified. There are plans to name these haplotypes in the future. While there is still a lot to learn about the New Zealand ghost moths, this research has helped us to understand more about the phylogeny and taxonomy of these fascinating moths as well as helping us to learn more about the origin of New Zealand fauna. Ghost moths often emerge when a front is approaching so appreciate these native weather indicators next time they annoy you by flying into your house at night! The full reference for the article is: Brown B, Emerson RM & Paterson AM. 1999. Phylogeny of ‘‘Oxycanus’’ Lineages of Hepialid Moths from New Zealand Inferred from Sequence Variation in the mtDNA COI and II Gene Regions. Molecular Phylogenetics and Evolution 13, 463–473. In ecology and evolution we work with models all of the time. Perhaps, if this was more widely known, we would find our class sizes swelling. Of course students expecting long blonde hair, white teeth or rippling six packs might be a bit disappointed when they realised that models mean something quite different in science... Models are simplifications of reality in which we make some assumptions which allow us to predict an outcome to a process. It’s a simplified version of reality. Usually models are quantitative. For example, one of my PhD students, Emily Fountain, is working on one of the most endangered insects in New Zealand, the Canterbury knobbled weevil. It would be helpful if we knew just how many individuals are left in their final remaining population. By capturing and marking some members of the population and then looking at how many of these marked individuals are later recaptured, adding in some assumptions about the life history of the weevils and the sampling process and you have a model which allows Emily to predict the likely population for the area. Emily is in the process of using these models, so hopefully I can tell you more about this population in a future blog. One area in which models are very important is when we use DNA to reconstruct the evolutionary history of species. The methods used to obtain these evolutionary trees from DNA sequence data usually require a model of how nucleotides change over time. Such change is regulated by structure of the nucleotide molecules, their position in the gene region, the gene region they are in and so on. Many models have been developed that try to take into account these different factors that influence DNA sequence change. A group of Lincoln University researchers led by Rupert Collins, including Rob Cruickshank, Karen Armstrong and Laura Boykin, have been messing around with models. Rupert and his colleagues are especially interested in DNA barcoding. 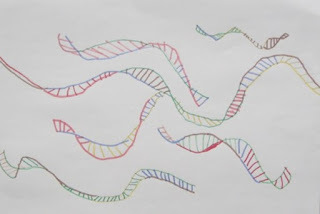 Basically, all species should be identifiable if you look at their DNA and, in fact, if you look at one gene region in particular - COI (the ‘barcode gene’) then there is usually enough information present to confirm what species you are looking at. The main interest in DNA barcoding at Lincoln is for bioprotection. Let's say that some grapes turn up in the Port of Auckland with some insect larvae crawling around in them. There is usually no way to tell what species it is by looking at larvae - they're all small, white and wriggly. We can't tell if this is a harmless species or something that could do unspeakable harm to our fruit industry. By looking at their barcode DNA we can quickly and easily match these mysterious larvae to a species. Well, in theory at least. There are a few complications. One complication is with the models. When analysing the DNA data a model is selected to more accurately construct the tree and find the right match. 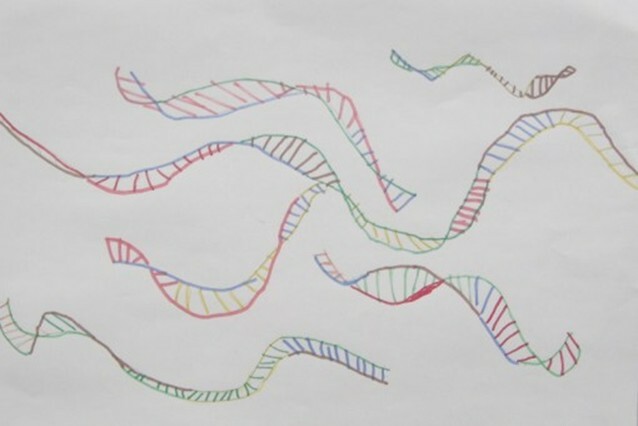 The default model for DNA barcoding is known as the K2P model (which assumes that there are two basic types of nucleotides that behave differently and are present in equal proportions). Rupert has published a paper "Barcoding's next top model" in Methods in Ecology and Evolution that tests whether the K2P model really is the top model. Rupert and his colleagues examined 14 data sets with over 14000 barcodes in total from a variety of species (butterflies, birds and bats) and analysed 22 different models that can be used in DNA analyses for these data sets. Most of these models were much more sophisticated than the K2P model. All of these models were used to find which provided the best results. Interestingly, most models were almost never selected as the best. This included the K2P model. A couple of models similar to the K2P, F81 and HKY (which only differ in not assuming equal nucleotide frequencies) were usually selected as better. However, almost all of the models gave similar results; there wasn't a lot between any of them. Of greatest interest was the case when the researchers didn't even use a model and this often resulted in an outcome as good as, or sometimes better than, those analyses with models. So Rupert and his colleagues conclude that simply leaving DNA barcoding analyses to a default model is not a good idea. So we're certainly better off without a kitset model and maybe we're better off without those pesky models after all. Our masters level ecology students now have a blog in which they discuss current papers on important ecological matters. Drop by and visit LU EcoEvo Discussion.